After 13 days in the primary fermenter, I kegged my Transatlantic IPA tonight. During the primary fermentation, I roused the yeast once or twice, to help attenuation along. 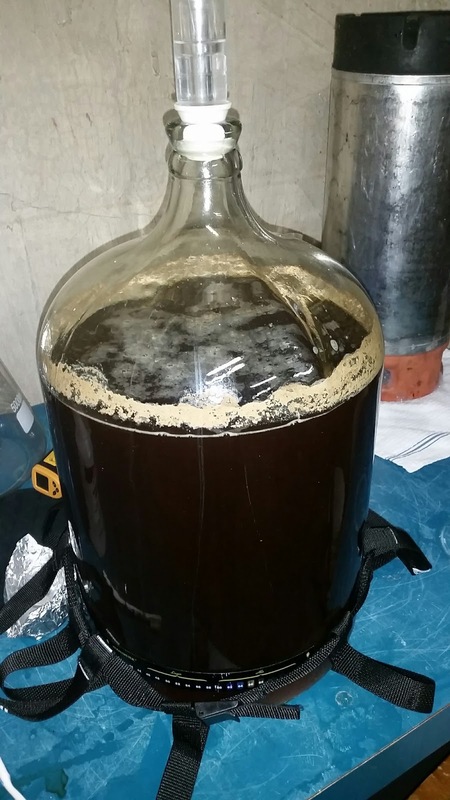 In the end, I had a final gravity of 1.015, down from 1.064, for 6.5% abv and 75% attenuation. At the time of kegging, I added 3 oz. of hops pellets (2 oz. Simco, 1 oz. Galaxy), for dry-hopping. In my initial tasting, I’m pleased with what the Vermont Ale yeast has done so far (although I’m at the very low end of its attenuation range–will have to see how it tastes in the final product to decide if I want to do anything about it). The keg is now carbonating, in wait for the time when I can finally tap it! This entry was posted in kegging and tagged TIPA, Transatlantic IPA. Bookmark the permalink.